Recently I have started photographing in the evening with the goal of building on the body of work which started with Aircraft Departing. 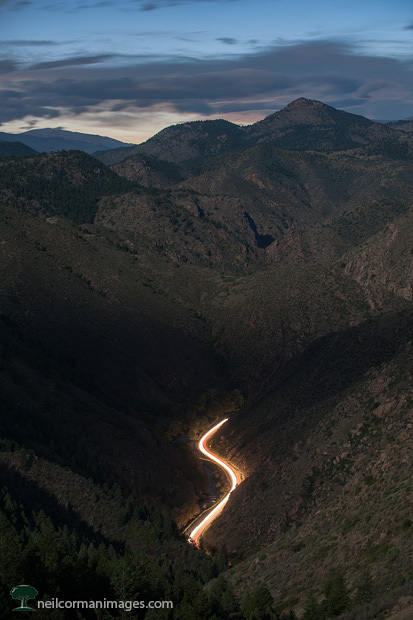 A couple of weeks ago, I was looking down at Clear Creek Canyon just prior to sunset and noticed the visible road. Later that evening I visited the same location and captured the scene under a full moon with some of the twilight still apparent on the horizon. This is a 30 second image with the moon light allowing the detail of the mountains to show in the image.